If you have a motorhome and you want to carry your car to Spain, you have to be aware of the rules regarding A–frames in Spain, specifically that A-Frames are forbidden here, so you will need a trailer to carry your car. 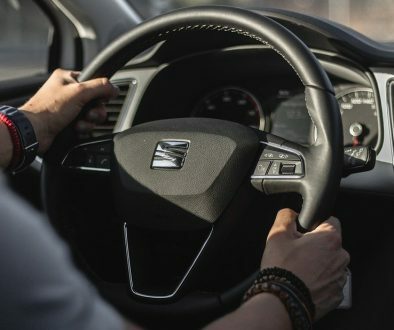 The law which legislates in this matter is the “Reglamento General de Circulación”, and applies to all vehicles that are in Spain. The same rule applies whether you are a resident or on holiday in Spain with a motorhome with a foreigner plate number. INSTRUCTION 08/V-74.- Motorhome towing a Car. Very often, motorhomes carry auxiliary vehicles, usually bicycles, a moped or small motorcycle. This practice is authorized provided an approved bicycle rack or a platform for this purpose is used and, when projecting out from the usual characteristics of the motorhome, the following requirements as provided in Article 15 of the Reglamento General de Circulación are met. Protruding from motorhome at the back, up to 10% of its length and if one vehicle (indivisible load), 15%. That all appropriate precautions are taken to prevent damage or danger to other users of public roads and should have extremities protected to lessen the effects of a possible friction or shock. The protrusion must be visibly protected by the use of a V-20 sign as per Article 173 and whose characteristics are set out in Annex XI of the Reglamento General de Vehículos. This sign is placed at the rear end of the load so that it is constantly perpendicular to the vehicle axis. After frequent questions regarding the possibility of a motorhome towing a car, this possibility is prohibited in Article 9.3 of the Reglamento General de Vehículos which prohibits the movement of a motor vehicle towing another, unless there is an immediate risk of damage or injury and it cannot be dragged by another vehicle specifically designed for that purpose, in which case it is allowed only to the nearest place where it will not hinder traffic movement and provided that it is not on a motorway. Notwithstanding the points already mentioned, a combination of vehicles consisting of a motor and a trailer or semitrailer on which another vehicle can be transported is permitted if the set qualifies for driving on public roads and is approved to Directives 70/156/CEE and 94/20/CEE and they do not exceed the maximum length allowed for these sets which is 18.75 meters and 16.50 meters in the case of a semi-trailer. Remember to follow N332 on Facebook for daily updates and news relating to Spanish traffic laws, just search for “N332”. I have been told by the Caravan & Motorhome Club (in the UK) that it is legal to tow a car behind a motorhome using an EU approved A Frame in Spain, IS THIS CORRECT? If it is, is there a document that I can read that explains the current/relevant legislation. Thank you Elle, I will follow your advice.